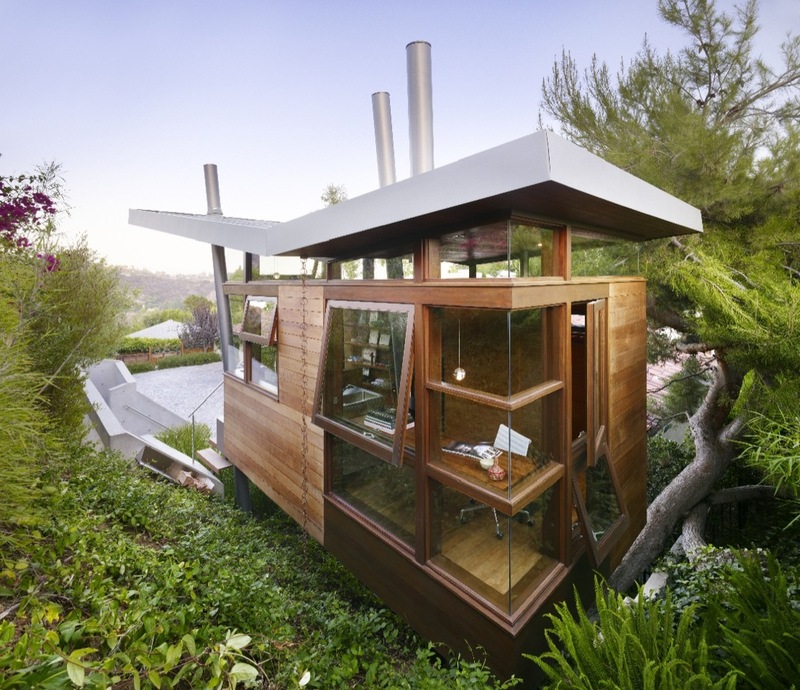 Located on a high eastern-facing ridge with views downtown Los Angeles in the distance, the Banyan Treehouse is a diminutive art studio and sanctuary. 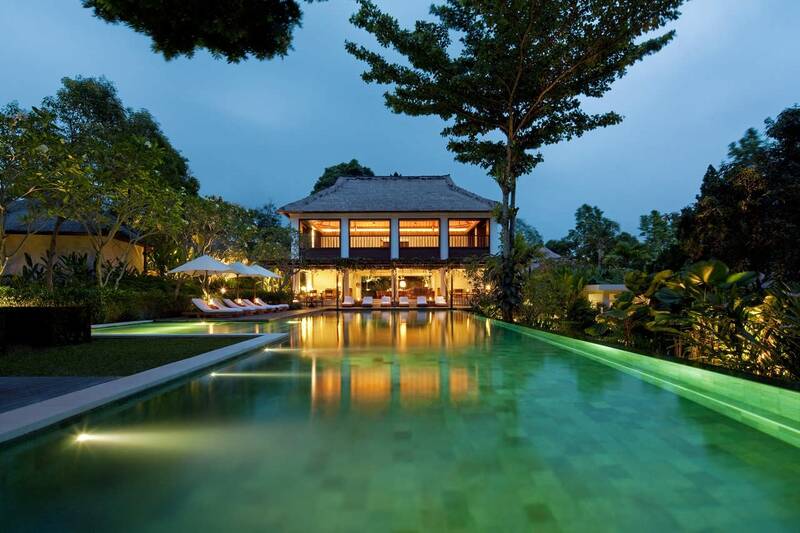 Rockefeller Partners was originally commissioned by this client to design a house that was ultimately never realized. Working together once again on this project, architect and client were able to revisit some of the design elements that they had originally explored in a different context, such as the striking butterfly roofline. Serving both as a studio and as guest accommodation, the tree house is completely self-sufficient with a water closet, fireplace, refrigerator, daybed, and television. Outside, a quick walk down the stairs leads to a protected and private outdoor shower. Wow~! I am so in love with this design! My past training as a commercial interior designer, and my current profession as a freelance writer (who craves a treehouse office) are intersecting here. The butterfly roof is awesome, and the shell is very exciting. For the interior, I would want a LOT more storage for project files, and the pylon piercing the kneespace below the worksurface would be an absolute deal killer for my functional tastes. But I do love the grand gesture of it!